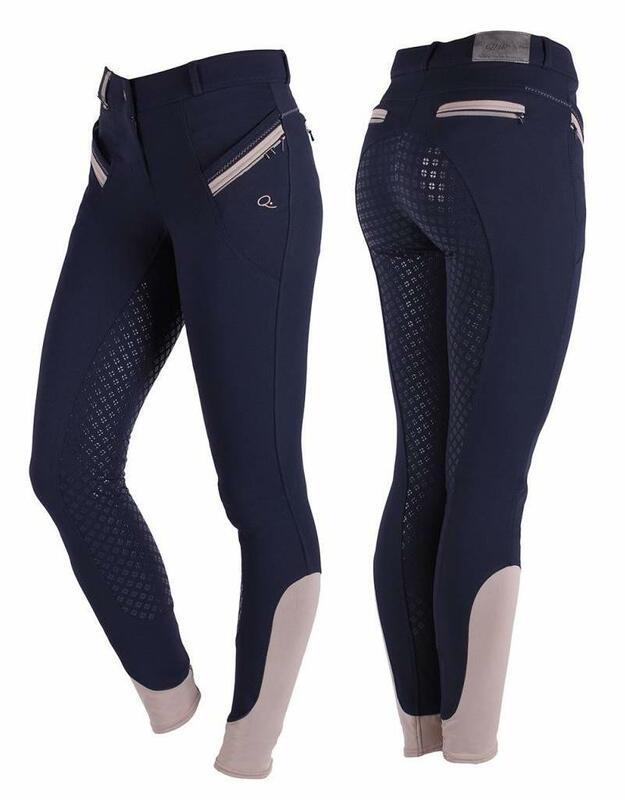 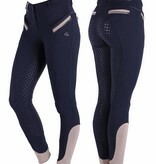 The chic Bliss breeches have a silicone seat in a four leaf clover pattern. 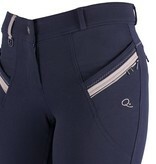 The contrasting fake zipper pockets give the breeches a sporty touch. 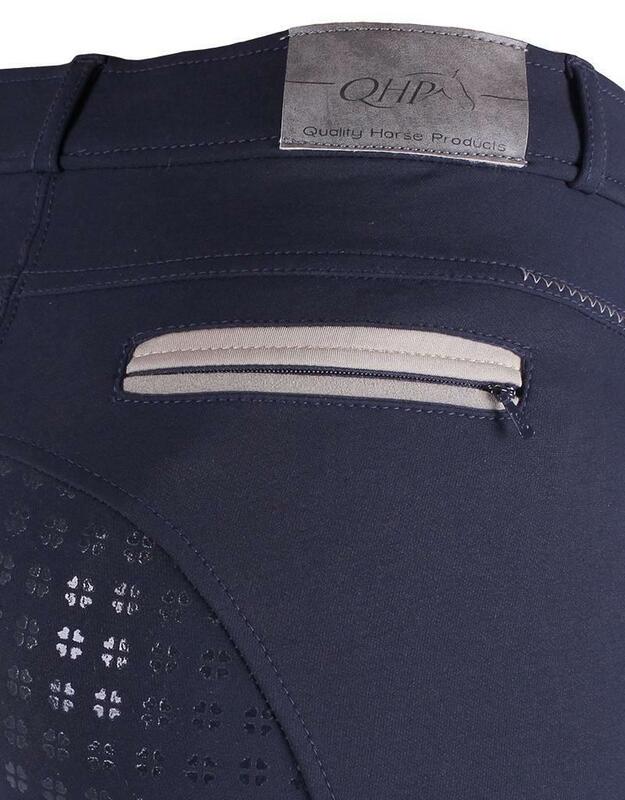 Elegant stitching on the pockets and below the waistband. 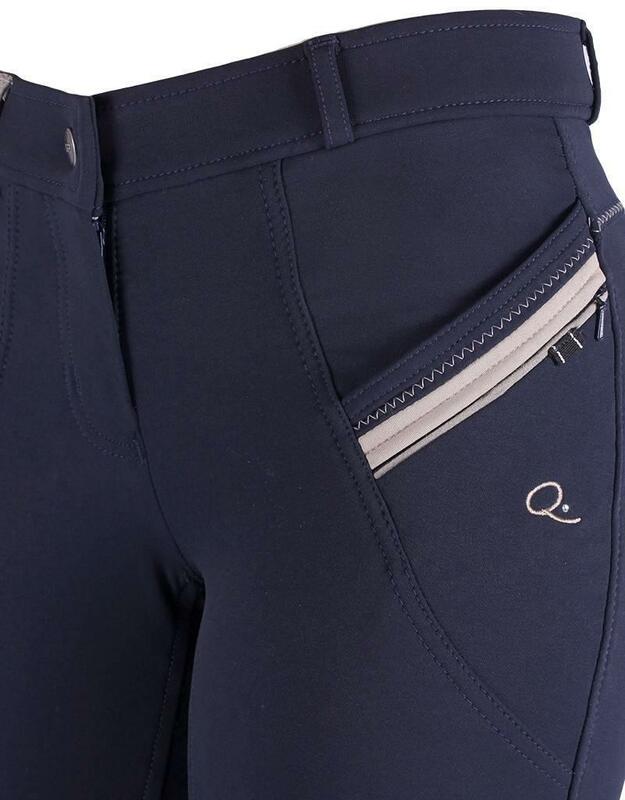 Finished with an embroidered Q with rhinestone, fabric loop, contrasting belt loop and metal Q hanger.